The mother of Winnipeg’s latest homicide victim says her daughter was a loving and caring person who enjoyed spending time with her family, including her new granddaughter. 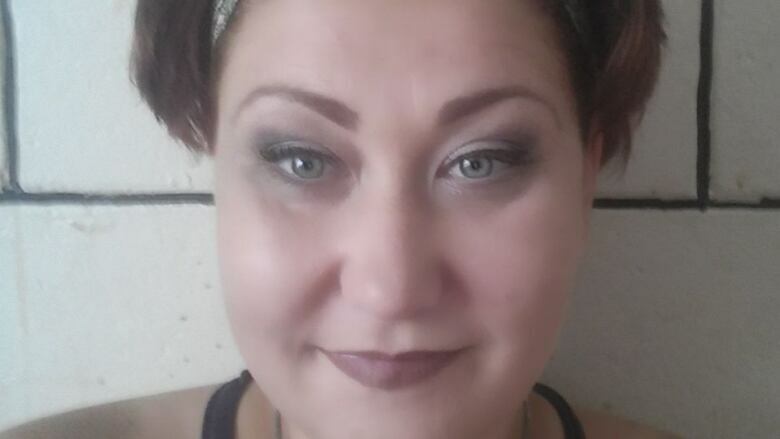 The mother of Winnipeg's latest homicide victim says her daughter was a loving and caring person who enjoyed spending time with her family, including her new granddaughter. Lisa Marie Kubica, 38, was stabbed to death at her Tyndall Avenue home Thursday night. Kubica's mother, Sherry Kubica, says her daughter had struggles, including an addiction to alcohol, but would always take time to be with her five children and her granddaughter — her first grandchild — who was born just over a year ago. Sherry said she and her daughter would take the kids swimming and to the park in the summer, and even though Kubica no longer lived with her kids, she always made sure they knew she loved them. "She loved doing things with her kids. Lisa lived for her granddaughter… she was so proud she had finally become a grandmother," Sherry, 58, told CBC News Saturday evening. "She was a good mother, she had problems… but she has been trying to be good lately and to me it's just, I don't know, she had problems, but I don't think anybody deserves this." Police spokesperson Const. Jay Murray said Saturday Kubica knew her attacker, who he said came to her home Thursday armed and intent on confronting her over a past issue. Sherry said her daughter was stabbed several times during the assault. Police arrested 45-year-old Phyllis Dawn Pascal a short time later at her nearby home, and have charged her with second-degree murder in connection with Kubica's death. Sherry said her daughter had never talked about the woman who now stands accused in her killing, and said she doesn't know what led up to the confrontation. "She was very kind-hearted, she would take anyone off the street, if they needed a place to stay, she would let them stay," she said of her daughter. "She wouldn't hurt a soul, I just don't understand what really went wrong." Sherry said her daughter had fallen back to drinking shortly before her death. After losing her her two youngest children, a son aged 10 and her five-year-old daughter, to Child and Family Services, Sherry said her daughter didn't know what else to do. "That's how she knew to numb her pain," said Sherry. The two children are now living as permanent wards with their grandmother. Sherry said their mother's death has been hard on the kids. "I had to explain to her youngest that she isn't going to be able to see mommy anymore, that she's in heaven, but she's with you," said Sherry. "It's hard to have to explain to a five-year-old but I want her to know that she is loved and my daughter did love her with all of her heart. "It's just so sad... they've lost their mother forever."